Three Indian films are among nine films shortlisted by the Australian Academy of Cinema and Television Arts (AACTA) in this year’s Best Asian Film category. Newton, Sanju and Gali Guleiyan will be competing at the 8th AACTA Awards, against two films from China (Dying to Survive, Youth) and one each from South Korea (1987 When the Day Comes), Taiwan (The Bold, the Corrupt and the Beautiful), Japan (Shoplifters) and Malaysia (Tombiruo). 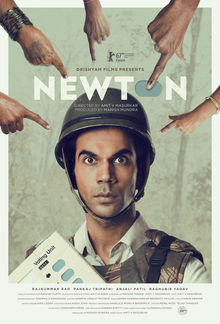 The understated Newton, a comedy drama starring the talented Rajkummar Rao and directed by Amit Masurkar, has won much universal acclaim. The story of an honest government official who fights tooth and nail to do his duty to conduct polling at a remote indigenous station, Newton turned out to be a surprise hit domestically as well as on the international film festival circuit. It won India’s National Film Award for Best Feature Film (Hindi) this year. At the 2017 Filmfare Awards it took the awards for Best Film (Critics), Best Actor (Critics) for Rao, Best Supporting Actor for Pankaj Tripathi, Best Film and Filmfare Award for Best Story. India’s official entry to the Oscars this year, it has already won two Australian awards (the 2017 APSA for Best Actor and for Best Screenplay). Gale Guleiyan (In The Shadows), a psychological thriller set in the walled city of Old Delhi starring Manoj Bajpai, also did well internationally at film fests, and at home in India. It is directed by Dipesh Jain, Student Award winner at the Directors Guild of America. 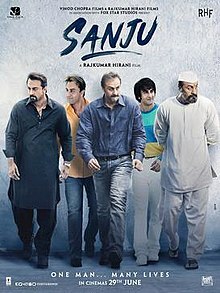 Box office hit Sanju, the second highest grossing Indian film of 2018, is award-winning director Rajkumar Hirani’s film based loosely on the life of troubled Bollywood actor Sanjay Dutt. It drew the crowds in at this year’s Indian Film Festival of Melbourne, and took home four awards. There’s no doubt the Indian community in India, which idolises its film personalities, will be eager to learn who will fly down from each of these three films for the awards ceremony, to be held in Sydney on Wed 5 Dec.
They’ll be happy to hear that AACTA regulars Anupam Kher and Shabana Azmi will be returning as jurors. Last year the Aamir Khan-starrer Dangal took the honours in this category. Cast member Sakshi Tanwar accepted the award on stage with a graceful speech – and an awkward hug – from AACTA President Russell Crowe. Dangal had in the previous year won the Highest Grossing Foreign Film award at the Australian International Movie Convention (AIMC), the first for a Bollywood film. Asian films are finally being recognised as worthy of a look here in Australia. 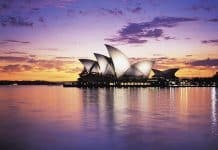 “In the last 12 months, Asian films have contributed $36 million to the Australian box office, signalling the immense popularity of Asian cinema in Australia as the region’s film industries continue to boom and produce high-quality, internationally lauded titles,” an AACTA release has claimed.